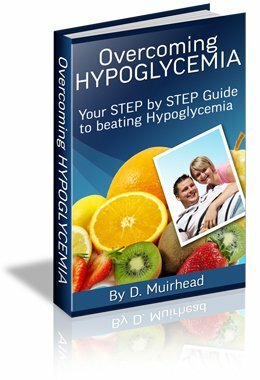 As a Hypoglycemic it is essential that with each of your 7 meals each of the above food types are present. You need carbohydrates, protein and good fat with each meal. It is essential that you eat carbs, protein and good fats with each meal because each of these food types plays a different function in helping you beat your hypoglycemia. Carbohydrates provide you with the energy you need to function throughout the day, whilst protein and good fats ensure that these carbohydrates are absorped slowly into the bloodstream which stops your body from releasing too much insulin. So if you are a sufferer of hypoglycemia try and ensure your meals consist of each of the above food groups. Your meals should generally be small as you are going to be eating much more often than a person without hypoglycemia. Large meals when eaten by a hypoglycemic can also often bring on symptoms. In order to determine the size of each of your meals it is likely that estimation is accurate enough. For your serving of protein, you need a serving size of roughly the palm of your hand. This is of course not an exact science and can vary a few centremetres, but say for example you are serving a piece of turkey, then try and cut yourself a piece that is roughly the size of your hand. Your Carbohydrate servings should be about the size of a normal 150ml cup. You should estimate the servings of your carbohydrates to be about the size of 150ml-200ml cup. Again this is not an exact science and estimation to the amount of about half a normal can of soda should be ok to decide your carbohydrate serving sizes. If you do require a more detailed way of determining portion sizes in my ebook I provide a more detailed way of how to determine how big each of your meals should be. Including tips to ensure that your meals are of the correct size. If you follow these food planning rules you should see some improvement in your condition in a few days. However as Hypoglycemia is a condition that can often cause many symptoms you may also have to work on beating your insomnia, depression and other ailments simeoultaneously. Want detailed step by step diet plan instructions?